Alto saxophone player and Rockland County native Samuel Hart has been announced as a recipient of a full-tuition grant from Berklee College of Music’s Global Jazz Institute. This grant will be given to 20 selected students representing various states and countries starting in Fall 2017. The Global Jazz Master’s program consists of advanced instrumentalists and vocalists. 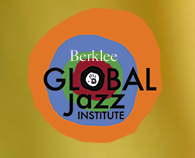 Berklee launched the master of music in contemporary performance (global jazz concentration) program at the beginning of the fall 2015 semester as a natural outgrowth of its highly successful undergraduate B erklee Global Jazz Institute program, which falls under the artistic direction of Grammy Award-winning Panamanian piano virtuoso Danilo Pérez.